Look out, world, for Beatrice Zinker! We recently read this upside-down thinker's story and we are officially in love with her topsy-turvy ways. She's funny, spirited and slightly mischievous, and we love how she is an independent thinker, confident in her own skin and is one who stands her ground. SO fun and funny, and one of the most enjoyable reads we've had this summer. Shelley Johannes' energetic illustrations really bring Beatrice to life. Can we hope for a sequel (or an entire series)? Crossing our fingers! Don't miss out on this fantastically written and illustrated early middle grade novel when it publishes on September 19. 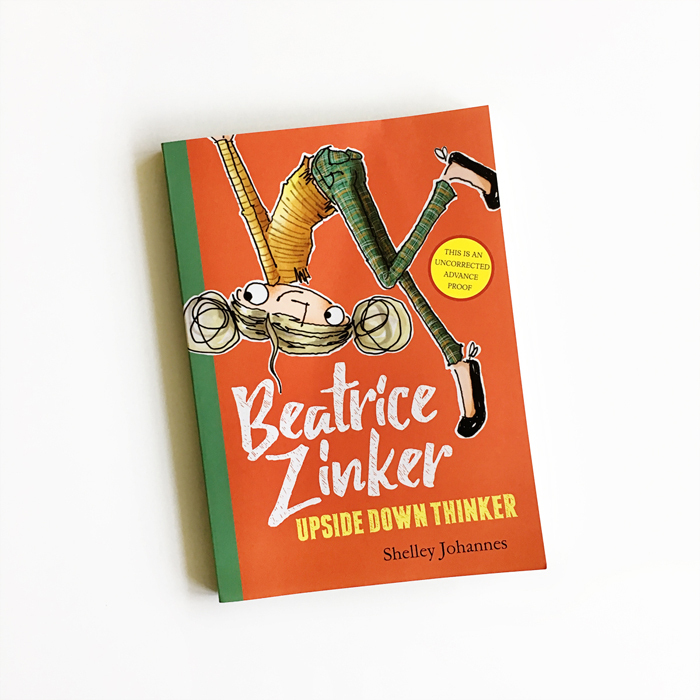 Beatrice Zinker, Upside Down Thinker was written and illustrated by Shelley Johannes and published by Disney Hyperion. Want to meet Beatrice? We’re giving away an advance reader's copy of BEATRICE ZINKER on Instagram. The giveaway ends Thursday, July 27. Head over here to enter, and for a preview of Beatrice!